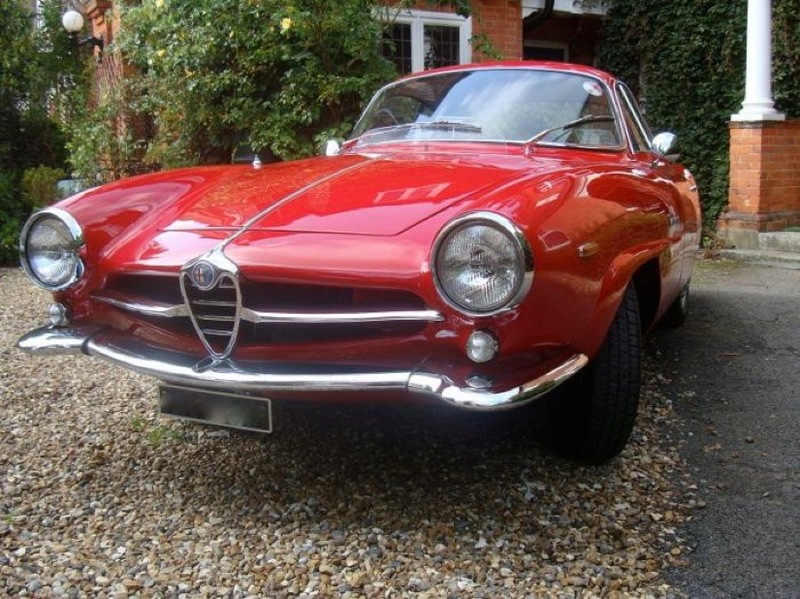 We've managed to find this RHD 1964 Alfa Giulia SS owned by Glyn Giusti, who bought the car about 5 years ago. He says it was was made on 25.11.63 and sold in the UK on 03.12.63, then first registered 24.07.64. He is the third owner and he believes the previous owner had owned it since 1973. Everything he's been able to find out about the car corroborates it being one of the 25 Ruddspeed conversions to this model. There appear to be a couple of 'oddities' with the car, for example where the handbrake is located, was kept as the standard umbrella pull and it simply moved to the right ride of the car, or was did it go between the seats? This has lead to various discussions â€“ without any real conclusion as to whether someone else did work over the years or whether Rudds modified each car to suit their budget or the owners budget. Other modifications were things like the steering wheel is covered in what looks to be leather, the dash has leatherette covered dash facias similar to body colour, the air filter... etc. The car was featured in Classic and Sportscar, December 2012 edition.